artwork to an image of themselves, either smiling (if it’s an album of love songs) or doing their best to look pensive (if it’s an album of break-up songs). Record stores are rarer than they used to be, but the San Gabriel Valley has some good ones. The music industry may have entered the Internet era of iTunes, YouTube and illegal downloading, but that hasn’t stopped some local stores from purveying tunes in their most concrete form — the vinyl record. As vinyl has made a comeback among hip new indie groups, it has maintained its popularity for collectors and those in search of the classics, and the San Gabriel Valley is home to some of the best places to find records new and old. ROSWELL, Ga. — A record store for music aficionados has opened in Roswell, offering used and new vinyl records. Mojo Vinyl owner Rand Cabus said that the attraction of vinyl records goes beyond any sense of nostalgia. 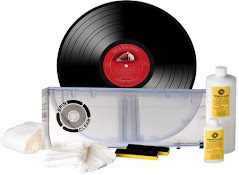 "Vinyl delivers an authenticity and warmth that are virtually impossible to duplicate digitally," Cabus said. He added that the market for vinyl records is widening all the time, with his top demographics being Baby Boomers, hipsters and even teenagers. Located at 34 Webb Street, Suite 8, in historic Roswell, the store offers new and used records, turntables, art and more. 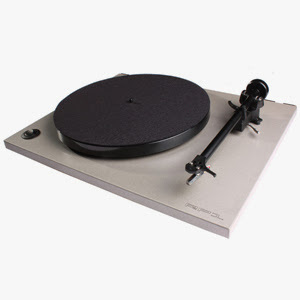 For information, visit www.mojovinylrecords.com or call 678-534-5042. Randy Bachman and Fred Turner are rollin' down the Canadian highway again. A year after reteaming for their first album in more than 20 years, the Can-Rock titans are gearing up to continue their comeback with a coast-to-coast tour. But anyone who thinks the duo have mellowed with age is in for a rude surprise, according to Bachman. "We've got a rock 'n' roll truck and we're driving over your face," laughs the 67-year-old singer-guitarist during a rare pit stop at his B.C. home. "We're not doing dance music or Lady Gaga stuff. It's 90 minutes of full-on rock -- the same Bachman and Turner songs you know." 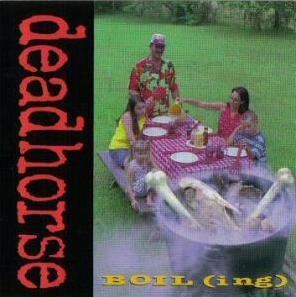 Abyss Records is reissuing the long-out-of-print "Boil(ing)" LP from Houston, Texas thrash legends DEAD HORSE. Limited to 1,000 copies on transparent-with-red-and-black-splatter 180-gram vinyl, it comes with a 18-inch-by-24-inch poster, four-inch vinyl sticker and free download card. Laurie McAllister, the last bass player for the Runaways, passed away on August 25 in Eugene, OR due to complications of asthma. She was 53. McAllister was part of the L.A. punk scene, playing with Baby Roulette and the Rave Ons who had a song on one of Kim Fowley's (manager of the Runaways) compilations. A neighbor, Duane Hitchings who played keyboards on the album And Now...The Runaways, talked her up to the band when bass player Vicki Blue left the group due to illness. in true Pink form, the boys have this great news to share! we know! and we still love to see these types of stories! Freddie Mercury of Queen was born in 1946 (died 1991). "Do Wah Diddy Diddy" by Manfred Mann's was released in 1964. In 1964, "And I Love Her" by The Beatles peaked at #12 on the US singles chart while "If I Fell" stalled at #53. The Rolling Stones Recorded Get Off of My Cloud in 1965. In a later interview, Keith Richards would say "I never dug it as a record. The chorus was a nice idea, but we rushed it as the follow-up" (to "Satisfaction). Sonny & Cher made their first live appearance in the U.K. in London in 1965. In 1966, after having his Beatle haircut chopped off and donning his once hated wire framed glasses, John Lennon started work on his role as Private Gripweed in the film How I Won The War. Shooting began on location in Hamburg, Germany before moving on to Almeria in southern Spain. John showed natural acting talent and many would later say that he could have easily taken up a successful movie career. In 1967, Working at Abbey Road studios, London, the Beatles began recording John Lennon’s new song “I am the Walrus,” recording 16 takes of the basic backing track. In 1976, Dean Martin surprises his former partner, Jerry Lewis, by walking on stage during Jerry's Labor Day muscular dystrophy telethon, ending a 20-year separation. In 1978, Joe Negroni, vocalist for Frankie Lymon and the Teenagers died of a brain hemorrhage, four days shy of his 38th birthday. A statue of Buddy Holly was unveiled in his hometown of Lubbock, TX in 1980. what took them so long? In 1981, Stevie Nick's solo LP, "Bella Donna", reached the top of Billboard's album chart with the help of a pair of duet singles, "Stop Draggin' My Heart Around" with Tom Petty and "Leather and Lace" with Eagles' drummer, Don Henley. Dire Straits' "Money For Nothing" won the MTV award for Best Video in 1986. In 1987, Ian Astbury of the Cult was arrested for allegedly inciting a riot in Vancouver during their show. The US Rock 'n' Roll TV show American Bandstand was officially cancelled after 30 years on ABC-TV. 'And Justice for All' by Metallica was released in 1988. Dave Navarro joined the Red Hot Chili Peppers in 1993. In 1996, Capitol Records released The Beatles Anthology video set. Over ten hours of material made up the set. The #1 album for 1998 was 'Follow the Leader' by Korn. In 2002, Peter Tetteroo, vocalist for the Tee Set, died of cancer at the age of 55. The Dutch band reached number five on the Billboard Pop chart in 1970 with "Ma Belle Amie". Neil Young's film Greendale premiered at the Toronto International Film Festival in 2003.
not hard working, fans of rap music had high self-esteem and were outgoing. Country and western fans were hardworking and outgoing, reggae fans were creative but not hardworking, and fans of chart pop had high self-esteem, were not creative, but were hardworking and outgoing. Huh? Buddy Miles (Electric Flag, Jimi Hendrix's Band of Gypsys) died in 2008. In 2009, Mickey Jones, the original bassist and founding member of the '70s Rock band Angel, passed away after a long battle with liver cancer. He was 57.